Has anyone ever told you that you should weigh “x” amount of pounds since you are “y” feet tall? 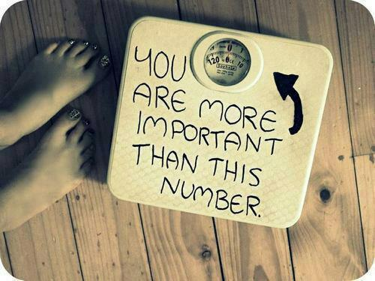 Or maybe you rely on a scale to tell you how much you should weigh? In either case, there are other things that I would encourage people to focus on instead of how much they weigh. Most traditional bathroom scales tell us our weight, but...weight shouldn’t be a figure that we solely rely on. Did you know that your weight can fluctuate 3-4 lbs in one day?! If you really think about it, your weight in the morning is going to be different than in the evening since you have ingested food and water among other factors that affect your weight. This is why I encourage you to look at your body fat, visceral fat, and muscle mass instead of overall weight. A bioelectrical impedance scale can give you all of this information, including your body water percentage, your bone mass, and much more. Now you can focus on healthy ranges for your age and gender instead of just relying on Body Mass Index (BMI) or just weight alone. Think of it this way, a professional athlete will have more muscle mass than the average person and may weigh more because of it. Their body fat will be lower, and their BMI will be higher since they weigh more! This shows us how using BMI is not the best way to determine whether you are healthy or not. Based on BMI, the athlete might be considered overweight, but according to his/her high muscle mass and low body fat percentage, he/she is healthier than the average person. As a personal trainer, health coach, and weight loss consultant, I have seen clients, friends, and family members obsess about their weight. If they gain 3 lbs in a day, they panic and think they need to go on a diet to get the weight off, but...they might not know what they actually gained. Did they gain fat? Did they gain muscle? Are they retaining water? If your weight is up, but it’s your muscle mass, this is actually a good thing! 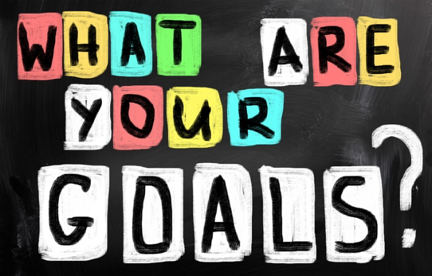 Instead of focusing on your weight going up, focus on how your clothes fit, how your body is becoming more toned, how your energy level is increasing, and all of the other benefits of gaining muscle mass! I always encourage everyone to shy away from weighing themselves every day. ✔ Proper time to weigh yourself: one time a week is enough! Make sure that you are weighing yourself at the same time (roughly) each day...I would suggest in the morning in your birthday suit before breakfast! ✔ Weight fluctuates daily, but focusing on an overall downward trend week to week is a great way to track your progress! ✔ Having a high muscle mass is a good thing- even if you weigh more because of it! ✔ Use your scale as a tool, it’s a helpful guideline to keep yourself in check, but do not let it define you! ✔ Use other helpful measurements to track your progress such as: how your belt fits, circumference measurements, muscle definition, even pictures of yourself!